December 7 at 6:00 p.m.
A holiday tradition not to be missed! Few stories have been told around the world as frequently as that of the Nativity. 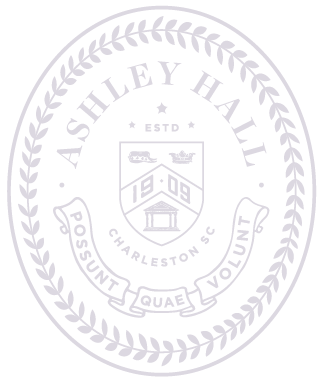 At Ashley Hall, a particular telling has been a tradition for nearly a century. Each December, in the twilight and intimacy of a beautiful church sanctuary in downtown Charleston Ashley Hall students parade as angels, jesters, kings, shepherds, and the full cast of the crèche to welcome the holiday season with Ashley Hall’s annual production of The Christmas Play. Add in the magical voices of the Red Choir accompanied by a skilled strings ensemble and you have a production cast in excess of one hundred in total—a production of epic proportion. A performance derived from fourteenth-century mystery plays in Chester, England, and a tradition at the school for more than ninety years, The Christmas Play was first directed by Mary Vardrine McBee, the founding head of school, in 1924. That Ashley Hall has carried this tradition into the twenty-first century is part of what makes it such a distinctive element of school life here. Mystery, or scriptural, plays were a type of drama performed in England from the 1370’s until the latter half of the 16th century that traced the life of Christ. The entire series, 25 in total, were presented on the Feast of Corpus Cristi, which actually occurs in early June. Only four cycles still exist; the Chester Cycle, from which Ashley Hall plays are drawn, is one. For one Ashley Hall alumna, The Christmas Play remains a prominent part of her school memories. Helen Smythe ’12 was a junior angel in first grade, and remembers a cherub figurine she received as a gift that year to mark the occasion. Years later, she was cast as a jester, and during her senior year, she landed the coveted speaking angel role. Former First Lady and alumna Barbara Bush ’43 also remembers playing this role and mentioned it when she visited Ashley Hall’s campus in 2016: “I was actually a speaking angel in The Christmas Play because I wasn’t allowed to sing in the choir,” she said with a laugh. It comes as no surprise that Smythe would have revered the opportunity to take part in The Christmas Play—it’s in her genes. Her mother, Therese Trouche Smythe ’78, played many roles in the production during her time at Ashley Hall, and her mother Julie Ann Trouche, who was an English and South Carolina history teacher at the school, came back after retirement to direct The Christmas Play. Helen reports that her mom and sister, who also attended Ashley Hall and participated in these productions, continue to recite their lines and correct each other at home during the Christmas season. That inter-generational enjoyment is something particularly meaningful to Therese, who remembers watching Helen teach younger girls the role of the jester, passing down what she had learned in her own experience. Likewise, alumnae of all ages contribute to the production each year, passing down costuming and staging tips through the years through special notes sent to cast members prior to the performance. Read special alumnae Christmas Play telegrams!